Roof replacement projects generate a lot of waste. According to the NERC-Northeast Recycling Council, approximately 10 million tons of recyclable shingles are removed from homes and buildings every year. This is why it’s important to keep sustainability in mind when having your asphalt shingle roof replaced. The following are some ways you can make your roofing project sustainable, and how roofing contractors like us can help. The asphalt layer in asphalt shingles is one of the few materials on the planet that are infinitely recyclable. That is, asphalt can be recycled over and over without degrading. Other components like paper and metal (from discarded roofing nails) are likewise recyclable, which means that if the shingles are properly disposed, only a small fraction of the discarded roofing will eventually make it to the landfill. Organizations such as ShingleRecycling.org, Earth911 and the Owens Corning® Shingle Recycling program work with roofing companies to make it possible for homeowners to contact a nearby recycling center. These centers will haul the discarded roofing for free or for a small fee, and ultimately generate asphalt that gets used on roads or in new asphalt shingles. As of 2015, asphalt shingle recycling has become the most-recycled material on the planet at 28%, overtaking glass and aluminum which were just at 20%. Believe it or not, there are people who prefer to reuse old but serviceable shingles for their sheds or even their homes. You can have your discarded shingles listed at sites like Craigslist, or, alternatively, just reuse the same materials for your own shed or garage. If properly installed, old shingles can still provide protection from the elements. In addition to proper disposal, a roof replacement project is an opportunity to choose sustainable materials. In addition to asphalt shingles, metal is another environmentally-friendly roofing material, thanks to its recyclability and long life span. Energy-efficient roofing can also help reduce your monthly energy consumption, reduce dependency on fuel-based energy from the grid and may make you eligible for federal tax credits or rebates. 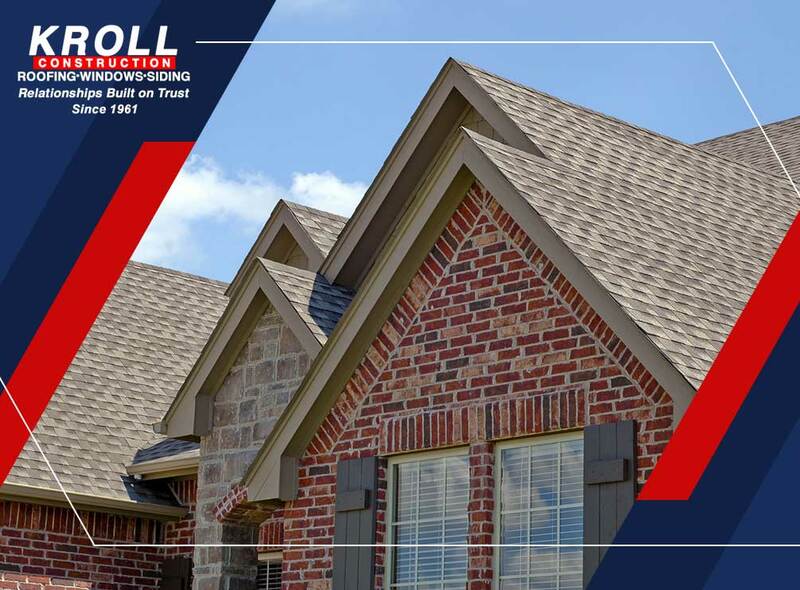 To learn more about sustainable roofing, call Kroll Construction today at (888) 338-6304. You can also fill out our contact form to schedule a free in-home consultation. We serve Michigan and the surrounding areas.